Today, 10 children and young people in the UK will hear the shocking news that they have cancer. Treatment normally starts immediately, is often given many miles from home and can last for up to three years. Being diagnosed with cancer is a frightening experience and the emotional, practical and financial implications of treatment are intensely challenging for the whole family. CLIC Sargent’s mission is to change what it means to be diagnosed with cancer when you’re young. We believe that children and young people with cancer have the right to the best possible treatment, care, and support, throughout their cancer journey and beyond. And they deserve the best possible chance to make the most of their lives once cancer treatment has ended. 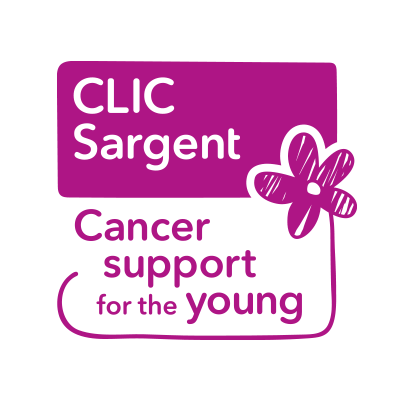 CLIC Sargent provides vital emotional, practical and financial support to young cancer patients and families during and after treatment, and we take what they tell us about the impact of cancer on their lives to service providers and policy makers to help change things for the better.